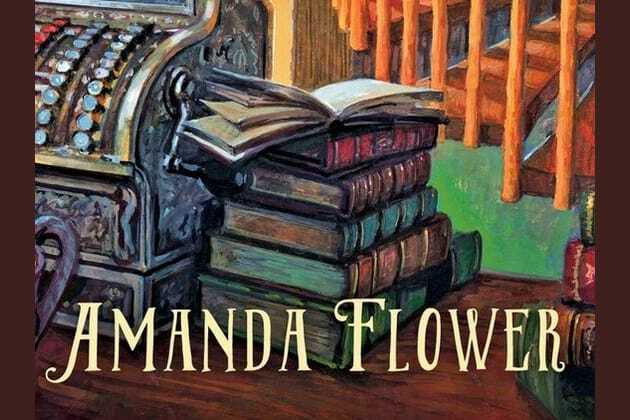 Which character are you from Amanda Flower's books? What would you most like as a companion animal? Which TV show best resembles your life? Which of the following literary characters do you identify with? You are driven, yet secretive. You want to be available to your family and friends but sometimes you have trouble being completely honest about your feelings. You enjoy a good competition and any excuse to enjoy some chocolate with friends. You are funny and make friends easily! You have the potential to be very successful, if you don't let your wandering mind get in the way. You always mean well, even if things don't turn out the way you wanted the first time around. No matter what, you always have your friends' backs. You are a sweet and kind friend. Even if you don't always feel like you know where your life is headed, you are always willing to help anyone who asks. You stand up for what you believe is right and won't take no for an answer! You are dedicated and intelligent. You have worked hard in your life and reaped the benefits. Sometimes you forget to give yourself a break from all the work but you definitely deserve one! Your friends are lucky to have found such an observant and loyal friend in you. You are brilliant and independent but you have the tendency to let your dark past get in the way of your future. If you can let go of whats haunting you, you will find a lot of happiness and fulfillment. You are good at making friends, even if you don't realize it. Try trusting others and you will be happily surprised. You are sarcastic and always approach a situation with humor. If you start something you are committed to finishing it, even if it gets you into trouble. You are a loyal friend and will always be there when the times get tough. Answer the questions below to find out which of Amanda's characters you are most like.